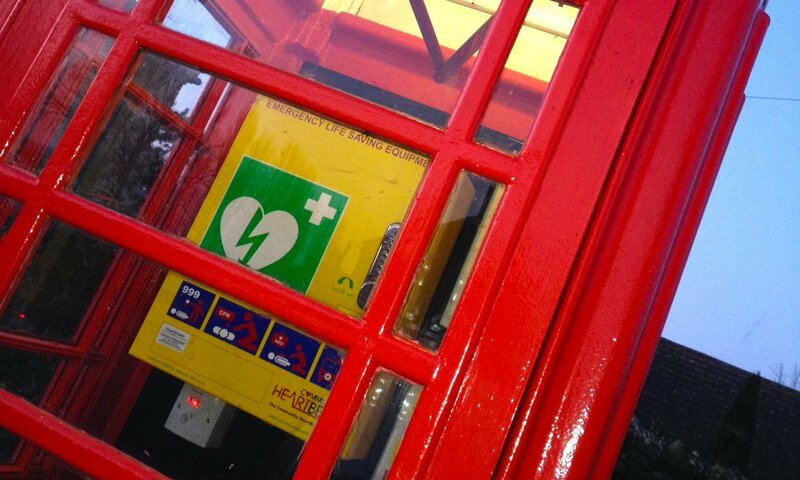 A REDUNDANT village phone box is to remain a vital lifeline for villagers who plan to use it to house a defibrillator machine in the booth. Residents of isolated Stourton in Wiltshire hit on the novel use for the traditional red kiosk after BT announced it would disconnect the phone after no calls were placed from it for an entire year. Stourton and Gasper Parish Council has adopted the phone box and intends to use its existing power supply to keep the lifesaving equipment charged. In use the machine delivers a powerful but controlled electric shock to restore normal heartbeat to victims of cardiac arrest. The innovative project has won the approval of Wiltshire Council which pledged a grant of £965 to the scheme at a meeting of its South West area board. The news will be especially welcome to one resident, who had to wait an hour for an ambulance to reach the remote village after suffering a heart attack, the board heard. The public access defibrillator is supplied and installed by the Community HeartBeat Trust charity and will be available 24 hours a day, seven days a week. The machine is secured inside a lockable steel box which can be opened with a combination code available from the emergency services by calling 999. The machine is able to diagnose the type of heart attack a victim is suffering from and issues spoken step- by-step commands to tell the operator how to administer the treatment. A £1,730 boost towards the purchase and installation of the equipment has been given by the National Trust, which owns the Stourhead Estate that the village lies within. The total cost of the installation will be around £2,000 but more money must be found to cover running costs and refurbishment of the phone box. Running costs are to be met by local fundraising and the project has already hit the mark with villagers who held a longbow competition on the village cricket pitch to help swell the coffers.